The statement came a day after the jury cleared Lonnie Swartz of second-degree murder, but deadlocked on lesser manslaughter charges. Federal prosecutors were reviewing whether to retry Swartz on the manslaughter charges. The verdict in the month-long trial followed 18 hours of deliberation over five days, the Associated Press reported. Jose Antonio Elena Rodriguez was killed Oct. 10, 2012, after being shot multiple times near a fence separating Arizona and Mexico. He and others were throwing rocks from the border town of Nogales, Sonora, Mexico to Nogales, Arizona, to distract border agents while two drug smugglers attempted to cross into Mexico, court records said. Swartz was indicted by a federal grand jury in 2015 after a lengthy investigation revealed he was standing on an embankment 14 feet above Elena Rodriguez and behind the 22-foor high metal wall that separates the border towns when he fired 16 rounds from three different locations. Federal prosecutors said in closing arguments in U.S. District Court that Swartz fired three shots and that the first hit the boy in the back, knocking him to the ground. The agent continued to fire on Elena Rodriguez while he was still alive, with a final shot to the head killing him, prosecutors said. 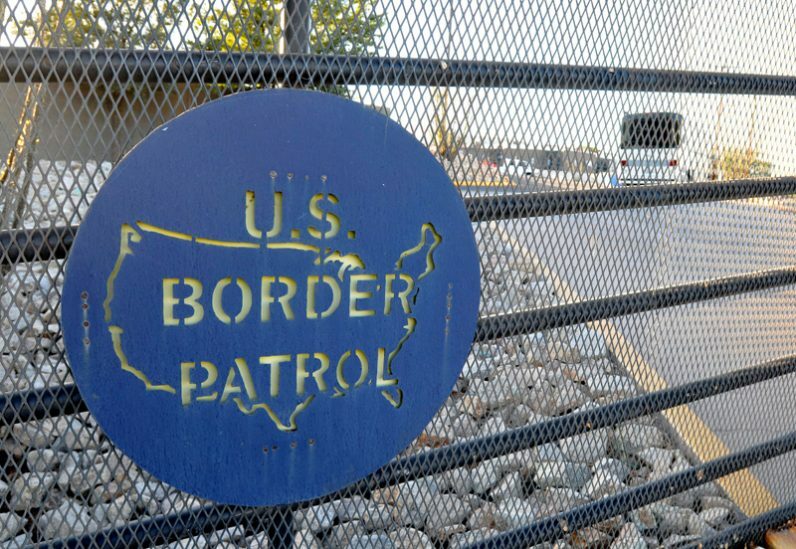 Human rights groups said the teen, who was unarmed, would not have posed a threat to Border Patrol agents. Defense attorneys argued that Swartz felt he and his fellow agents were in grave danger from the stone-throwers. “While the issue at hand is primarily one of law enforcement, nonetheless, it is yet another reminder of our broken immigration system,” Bishop Weisenburger said. He stressed that the U.S. Conference of Catholic Bishops and the Arizona Catholic Conference, representing the state’s bishops on public policy matters, continue to call on Congress to pass comprehensive immigration reform. The bishop also pointed to the difficult and dangerous situations that Border Patrol agents face. “There are times when their efforts have resulted in saving the lives of those in great peril. We rely upon their high degree of professionalism and integrity,” the statement said.